Rethink what's possible for your career. Looking to propel your career at a dynamic organization where you'll find the support, mentorship and opportunities for advancement you deserve? You've come to the right place! Learn more about Forté's corporate sponsors and their unique programs, events and philosophies designed to support the professional pursuits of talented women like you. A.T. Kearney a global team of forward-thinking partners that delivers immediate impact and growing advantage for its clients. We are passionate problem solvers who excel in collaborating across borders to co-create and realize elegantly simple, practical, and sustainable results. Since 1926, we have been trusted advisors on the most mission-critical issues to the world's leading organizations across all major industries and service sectors. Our work is always intended to provide a clear benefit to the organizations we work with in both the short and long term. We focus our resources, leverage our global scale, and drive excellence in all we do while enhancing our partner-like culture to ensure we are collaborative, authentic, and forward-thinking. We have a distinctive, collegial culture that transcends organizational and geographic boundaries. Our consultants are down to earth, approachable, and have a passion for doing innovative client work. We always seek to deliver both immediate impact and growing advantage to our clients and our people. In 2013 our global revenue topped $1 billion. A.T. Kearney has long been committed to consistently supporting and advancing the careers of women. Today, 40 percent of our women partners are in leadership roles in the firm, and in recent years, four have also been named to Consulting magazine's Top 25 Consultants. While we are immensely proud of these achievements and other accolades we've received, we continue to strive to support our women colleagues in new and innovative ways. Examples include new and alternative ways of working, such as a suite of flexible work arrangements and a new model of project delivery that better meets individual needs while continuing to ensure client excellence. A.T. Kearney has also been actively working for more than 20 years to support women inside and outside of the firm through our Women's Network. The network operates globally and in each office locally to support the development and advancement of women within the firm and to promote programs and initiatives that make our workplace more supportive and inclusive for women and men. We also focus on advancing women's topics both through thought leadership and collaborative partnerships. Some of our research around women in the workplace and gender equality can be found on our website. Our people also collaborate with numerous organizations, such as AFRIpads and the Women's Initiative, to help develop strategies that will make their impact even more powerful. Accenture is a leading global professional services company, providing a broad range of services and solutions in strategy, consulting, digital, technology and operations. Combining unmatched experience and specialized skills across more than 40 industries and all business functions underpinned by the world's largest delivery network Accenture works at the intersection of business and technology to help clients improve their performance and create sustainable value for their stakeholders. With approximately 401,000 people serving clients in more than 120 countries, Accenture drives innovation to improve the way the world works and lives. Visit us at www.accenture.com. At Amazon, we strive to be Earth's most customer-centric company where people can find and discover anything they want to buy online. Amazon's evolution from Web site to e-commerce partner to development platform is driven by the spirit of innovation that is part of our DNA. We hire the world's brightest minds, offering them an environment in which they can relentlessly improve the experience for customers. We do this every day by solving complex technical and business problems with ingenuity and simplicity. We're making history and the great news is that we've only just begun. In 1926, Charles Lindbergh stowed a bag of mail in his DH-4 biplane and took off from Chicago for St. Louis. Lindbergh was then chief pilot of Robertson Aircraft Corporation of Missouri, one of the scores of companies that combined together to become today's American Airlines. Since then, American has grown to operate nearly 6,700 flights a day to nearly 350 destinations in more than 50 countries. We have the largest network in the world to serve our customers, made possible by the hard work of the more than 100,000 men and women who make up the American Airlines team. We're restoring American as the greatest airline in the world by focusing on our customers' needs and wants, being an industry leader in safe and reliable operations, engaging our team members, providing a return for our shareholders and looking to the future. Since our merger in 2013, we've carried out the most successful passenger service system cutover in aviation history, earned record profits including $6.3 billion in 2015, taken delivery of a new plane every week to give us the youngest fleet in the industry, and invested more than $3 billion in our customer experience. That amount of change can be accomplished when you have the best and brightest in the business, including the more than 12,100 employees American hired in 2015. They join a company that remains committed a diverse and inclusive workforce that represents the diverse world we serve, including working to have strong female leaders in our ranks. We're excited about our future and excited about the team that will take us there. AT&T is bringing it all together - helping people mobilize their worlds - with advanced mobile services, next-generation TV and high-speed Internet services, and smart solutions for businesses. For more than a century, we have consistently provided innovative, reliable, high-quality products and services. Our mission is to connect people with their world, everywhere they live and work, and do it better than anyone else. We're creating new solutions for consumers and businesses to help them mobilize their communications and entertainment. AT&T serves all of the Fortune 1000, as well as neighborhood businesses around the country. We offer solutions like highly secure mobile cloud and corporate network management that helps businesses in every industry serve their customers better. We're also connecting cars, machines, wearable devices and more. It's all part of our leadership in the Internet of Things. We're working with top automakers and technology companies to make our customers' lives easier - so they can use their car to order a pizza on the way home, and then use a connected watch later that night to track how many extra steps they'll need to take at the gym the next day. AT&T is constantly innovating to find new connections in the Internet of Things. In 2014, we were issued an average of more than one patent per day. We have more than 10,000 patents issued worldwide. AT&T Labs and our Foundry centers have the brightest minds in the industry working to develop technologies, apps, products and services that are improving lives at home, work and play. We're also improving lives by supporting our local communities, which is embedded in AT&T's culture. We're focused on raising high school graduation rates and preparing students for college and careers through our signature education initiative, AT&T Aspire. To date, we have committed $350 million to the program. Our It Can Wait campaign has inspired more than 5 million people to pledge that they will never text and drive. AT&T is leading the way to the future - for customers, businesses and the industry. We're building a software-defined network that doesn't just respond to customers' needs, but anticipates them. We can deploy new functions almost instantly through a software update, letting us upgrade the network in minutes instead of months. We're developing new state-of-the-art technologies like this so it's even easier for our customers to stay connected. We envision a world where everything and everyone work together seamlessly, and life is better as a result. We envision a world that works for you. No. 7, Top 50 Companies for Diversity, DiversityInc. Best Media - Telecommunications Internships (Financial Leadership Program #1, Leadership Development Program #5), Vault Inc.
No. 9, Top 10 Companies for Recruitment, DiversityInc. No. 5, Top 10 Companies for Employee Resource Groups, DiversityInc. Whether it's raising capital in Mumbai or hedging currencies in Stockholm, the powerful combination of Bank of America Merrill Lynch means we can do more for our clients than any other financial services firm. We understand the challenges our clients face around the world, and we tap the full resources of our company to help them achieve their goals. Our solutions span the complete range of advisory, capital raising, banking, treasury and liquidity, sales and trading, and research capabilities. Combining a dominant corporate bank and world-class investment bank, Bank of America Merrill Lynch has created a financial powerhouse of deep industry, regional, product and strategic expertise serving clients in over 150 countries through more than 40 offices across the world. As the bank of choice for 99% of the U.S. Fortune 500 and 96% of the Global Fortune 500, Bank of America Merrill Lynch is the place to be for talented professionals who are serious about seizing opportunities to make a difference and helping to shape the future of global banking. Barclays is a major global financial services provider engaged in personal banking, credit cards, corporate and investment banking and wealth and investment management with an extensive international presence in Europe, the Americas, Africa and Asia. With over 300 years of history and expertise in banking, Barclays operates in over 50 countries and employs 140,000 people. Barclays moves, lends, invests and protects money for customers and clients worldwide. At Barclays, we understand that the global marketplace is changing. In order for us to stand out we have to think along different lines to deliver the most innovative solutions to our clients. Having a diverse workforce gives us a valuable competitive edge and allows us to leverage the different perspectives of our employees in order to grow our business. Barclays recognizes the role that women play in the success of our firm, and by ensuring that talented women have a seat at the table, we multiply our opportunities for success. In an effort to encourage, inspire and support women in achieving their career goals, we have established the Women's Initiatives Network (WiN) in regional and branch offices. WiN members help the firm's diversity mission by leading initiatives related to recruitment, professional development, networking, awareness and community outreach. In 2010, for the second consecutive year, WiN hosted its International Women's Day Conference. Members of the firm's Executive Committee participated in the event which began in Asia Pacific and over the course of the day passed the baton to Europe, and finally the US. Our firm is committed to creating an inclusive workplace to attract women from top business schools across the country, and through our campus recruiting efforts; we have introduced a number of new initiatives to meet this goal. Barclays continues to partner with organizations such as The Susan G. Komen Breast Cancer Family Outreach, Dress for Success, Women's Bond Club, Catalyst, and Women in Banking and Finance, along with non profit organizations who assist women, girls and families in need. Additionally, we have consistently been named to the Working Mother 100 Best Companies list. Bloomberg, the global business and financial information and news leader, gives influential decision makers a critical edge by connecting them to a dynamic network of information, people and ideas. The company's strength delivering data, news and analytics through innovative technology, quickly and accurately is at the core of the Bloomberg Professional service, which provides real time financial information to approximately 325,000 subscribers globally. Diversity & Inclusion at Bloomberg is our commitment to fostering an inclusive culture where employees feel respected for their diversity and empowered to impact the business globally. Bloomberg Women's Community connects and supports women at Bloomberg through awareness, relationship-building and career development. The Bloomberg Women in Technology group encourages women to be leaders in technology and focuses on supporting leadership development, recruitment and retention efforts within the company, as well as mentoring young women pursuing STEM educational and career paths. Last year, Bloomberg launched the inaugural Bloomberg Financial Services Gender-Equality Index, recognizing 26 firms for their commitment to gender equality. The index provides investors with valuable reference data across internal company statistics, employee policies, gender-conscious product offerings and external community engagement. The Boston Consulting Group’s (BCG) global reputation as a top management consulting firm derives from more than fifty years of experience helping senior managers discover and achieve their companies’ full potential. Our mission is to help our clients achieve sustainable competitive advantage through the delivery of customized solutions. We strongly believe in working with our clients, not on them and partner with each client to help set direction, and face organizational and operational challenges head on. BCG has more than 6,200 consultants based in more than 80 offices worldwide. BCG's clients are the world's top business leaders and our professional expertise spans over 50 industries. The vast majority of our clients rank among the 500 largest companies in each of our three major regionsAmericas (North and South), Europe Middle East and Africa, and Asia Pacific. Additionally, we work with a number of small- to medium-sized companies, both public and private. BCG has a rich history of developing outstanding, influential female leaders. The proportion of female leaders at every level of our company is growing, and we are consistently recognized as one of the world's best companies for women. Six of BCG's female senior partners have been named among Consulting magazine's annual “Top 25 Most Influential Consultants.” Working Mother magazine has named BCG one of its top 100 firms for working mothers for eight years. Over a decade ago, our CEO and leadership team set the aspiration to make BCG the preeminent place for women looking for a career in consulting. This aspiration has become core to our firm and we've aligned our people processes and business model to make tremendous progress against it. Women@BCG, a global network, encompasses these efforts and is based on three principles: leadership investment, comprehensive support and results. Through Women@BCG we offer global best-in-class career development and support, mentorship and training and career flexibility to help you excel—personally and professionally. At BCG, we also know our teams need a diversity of profiles and capabilities—and our clients demand it. One way to help achieve this diversity is to give you the flexibility to make your career more professionally sustainable and personally fulfilling. Our Flexibility@BCG approach offers you enhanced work options and the ongoing support to manage them. For those who would like to participate and are eligible, the options are these: FlexTime (Part-time arrangements to reduce weekly work hours. BCG will help you design a model that meets your individual needs and career ambitions), FlexLeave (“Time for You”, an opportunity to take an additional block of time off during the year) and FlexPaths (access to a large selection of experiences to further your personal and professional development, such as social impact secondments, work abroad, leaves, or courses leading to advanced degrees). We continuously innovate to create an environment that will accommodate our employees' changing lives. Since 1931, Capital Group has been singularly focused on delivering superior, consistent results for long-term investors using high-conviction portfolios, rigorous research and individual accountability. Capital Group serves individual investors, financial intermediaries and institutions around the world through a broad range of products and services that include American Funds, one of the largest mutual fund families in the U.S. by assets under management. Fostering a fully diverse workforce that provides opportunities for everyone based on their skills and experience has long been a priority at The Capital Group Companies. In addition to surfacing the best people for the job regardless of factors such as gender, ethnicity and nationality this commitment has contributed greatly to the Capital Group’s success and prominence in the investment management industry. The Capital Group’s investment philosophy, established nearly 80 years ago, is reflected in a collegial work environment that encourages and values the input and active collaboration of associates throughout our organization. (The fact that we call all our employees ‘associates’ is itself an acknowledgment of this respect for the individual.) It is through this diversity that the best long-term investment ideas are born, resulting in consistent investment results for our clients and shareholders. Inherent in our commitment to diversity is active support for the inclusion and advancement of women. More than 60% of our associates are female, and the Capital Group works closely with women’s organizations in key universities and business schools to recruit talented women and nurture their advancement. We invest in our associates through a comprehensive benefits program that encourages continued education and training as well as support for working mothers through flexible work schedules and generous well-baby care and maternity benefits. It is all part of the Capital Group’s strong belief that our clients, shareholders, and associates all benefit when we help individuals succeed. Cargill is full of exceptional people. Some work in labs, fields or kitchens. Others wear hard hats, crunch numbers, seal deals, research patents and invent new products. Some look for new ways to improve the foods you eat. Others are trading commodities or creating risk management and industrial solutions. Cargill employees in financial roles work in accounting and finance, financial planning and analysis, trading and risk management, and structured finance and capital markets. At Cargill, we believe the path to winning requires each person, regardless of role, level, department or location, to demonstrate inclusive leadership behaviors to drive extraordinary results. To stand apart in this changing world, we actively engage all employees to create a more integrated, better equipped organization. Joined 27 companies to launch the Paradigm for Parity℠ coalition, an organization committed to achieving gender parity across all levels of corporate leadership by 2030. Recognizing that achieving gender parity in its management ranks will take a continued effort, Cargill has already taken numerous measures to advance its efforts in recruiting, retaining, developing, and promoting women. Alignment with ONE’s Poverty is Sexist campaign with a donation of $2 million in 2018, to share stories of girls and women who are fighting for change in their communities. The goal is to educate and inspire the public, Cargill employees and ONE’s network of nine million activists around the world. A Cargill-CARE rural development partnership has reached more than 2.2 million people in 10 years, helping build more resilient communities in 10 countries through improved food and nutrition security, increased farmer productivity and greater access to markets. Together, Cargill and CARE are empowering women, farmers, families and communities to be more socially and financially resilient. Cargill’s 155,000 employees across 70 countries work relentlessly to achieve our purpose of nourishing the world in a safe, responsible and sustainable way. We combine 153 years of experience with new technologies and insights to serve as a trusted partner for food, agriculture, financial and industrial customers in more than 125 countries. CarVal Investors, a leading global alternative asset manager, is focused on distressed and credit-intensive assets and market inefficiencies. Since 1987, our experienced team has navigated through ever-changing credit market cycles, opportunistically investing $108 billion in 5,300 transactions across 79 countries. Today, CarVal Investors has $11 billion in assets under management in both credit and real estate strategies. CarVal Investors is dedicated to attracting and retaining the industry's best people across asset classes and geographies. CarVal is committed to diversity and inclusion, valuing the full range of life experiences, skills and qualities of our employees. We believe peak effectiveness comes from an engaged, talented, and diverse workforce. The mission of CFA Institute is to lead the investment profession globally by promoting the highest standards of ethics, education, and professional excellence for the ultimate benefit of society. As a global, independent organization, we play a role in being a steward and champion of the investment management industry. We continue to set industry standards and raise the bar on a global scale through a suite of programs and a commitment to integrity. CFA Institute aims to improve investor outcomes by encouraging diversity in the investment management profession. One initiative we're focusing on is Women in Investment Management. As the largest global association of investment professionals, CFA Institute is in a unique position to raise awareness and drive change. We leverage our network, and in fact conducted the largest-ever survey of investment management professionals on gender diversity. Learn about our key findings. Also, see how women can thrive in the investment management profession and discover the women's scholarships we offer to aid in earning a CFA charter. We believe in improving investor outcomes through diversity. As the largest global association of investment professionals, we have over 142,000 members in 159 countries. Each year, we host a variety of programming, including an Alpha and Gender Diversity conference and a Research Challenge. In 2016, more than 4,000 students from 925 universities took part. We also produce continuing and professional development content for charterholders, provide resources to the university community in the form of a Women in Investment Management Toolkit to support universities' diversity efforts, and conduct research on issues impacting our industry, such as our Gender Diversity, Future State of the Investment Profession and Value of Premium Wealth Management reports. The Chartered Financial Analyst® (CFA) credential is the professional standard of choice for more than 31,000 investment firms worldwide. Top employers include JPMorgan Chase, UBS, RBC, Bank of America Merrill Lynch, Wells Fargo, HSBC, and Credit Suisse. More on our CFA Program and the impact it can have on your career. Chevron is one of the world’s largest integrated energy companies. Headquartered in San Ramon, California, we conduct business worldwide. We are engaged in every aspect of the crude oil and natural gas industry, including exploration and production, manufacturing, marketing and transportation, chemicals manufacturing and sales, geothermal energy, and power generation. We’re also investing in renewables and advanced technologies. The Chevron Way explains who we are, what we believe and what we plan to accomplish and at its heart is our vision: to be the global energy company most admired for its people, partnership and performance. One aspect of Chevron’s commitment to people is its support of women’s leadership development. 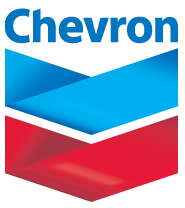 The Chevron Women’s Network is the largest of 10 employee networks, with members spanning 54 countries. This Network is committed to promoting awareness of women’s strategic issues at Chevron; fostering networking, mentoring and leadership opportunities; and encouraging personal, professional, and organizational growth. Chevron offers several graduate development programs for a select group of talented, motivated individuals who want to accelerate their careers and become future company leaders: the Finance MBA, Global Gas Commercial Skills, Global Lubricants, Global Marketing, Global Supply & Trading MBA, Human Resources, and Procurement MBA Development Programs. Cigna is a global health service company, dedicated to helping the people we serve improve their health, well-being and sense of security. Cigna serves its customers with over 40,000 dedicated employees worldwide. When you work at Cigna, you can count on a different kind of career. Work with us, and make a difference, deliver results, and share in the reinvention of health care. At Cigna, you'll have more than a job. You'll have a career with a company that values your fresh ideas and unique perspectives. Together with your colleagues, you'll work on projects that will expand your knowledge, skills and experience. And as you succeed, you'll be making a meaningful difference in one of the world's most important arenas: health care. 200 million customer accounts. 160 countries. One vision. Citi works tirelessly to provide consumers, corporations, governments and institutions with a broad range of financial products and services. We strive to create the best outcomes for our clients and customers with financial solutions that are simple, creative and responsible. At Citi, we recognize diversity as one of our competitive advantages which is enhanced by attracting, retaining and developing the top female talent in our industry. Citi Women, formerly Women4Citi, launched in 2005 and is our company-wide effort to foster the ongoing development of women leaders from recruitment to senior management as well as to facilitate the engagement of clients in the women’s dialogue. Today, this program supports women across Citi with tools and resources to help advance their careers. Throughout the Citi organization, nearly 50 Women's Councils operate at the local level to catalyze female talent, further causes that support the career paths of women, and facilitate community outreach to fulfill the passions of participants. These groups do tremendous work every day and create strong connections to our businesses, our communities, and each other. Citi supports the recruitment, retention, and career development of women in many ways. Citi supports professional development opportunities for women by providing an array of development and training programs, formal and informal networking and mentoring opportunities. Through its Women Leading Citi program and Women's Leadership Development Program it provides high performing talented women the opportunity to further develop executive readiness and leadership skills to broaden their scope of responsibility and advance their career. Citi provides best in class work/life balance programs such as flexible work arrangements, full-time back-up child care programs and a variety of dependent care options. Citi targets and actively recruits women when hiring undergraduate, graduate, and professional level talent. Our strategy is multi layered and includes partnering with external organizations focusing on women's professional development (e.g. Financial Women's Association), sponsoring annual conferences that foster and support educational and professional endeavors and participating in career fairs committed to the advancement of women in the workplace (e.g. Columbia Women in Business Conference). Cognizant (NASDAQ-100: CTSH) is one of the world's leading professional services companies, transforming clients' business, operating and technology models for the digital era. Our unique industry-based, consultative approach helps clients envision, build and run more innovative and efficient businesses. Headquartered in the U.S., Cognizant is ranked 205 on the Fortune 500 and is consistently listed among the most admired companies in the world. We work with the world's leading organizations to provide collaborative solutions to their business and IT challenges with innovative ideas that are embraced by their customers. More than 5,300 professionals around the world leverage deep industry knowledge across 15 verticals including: banking and financial services, healthcare, retail, consumer goods and insurance to deliver robust digital solutions in key areas of client growth. Credit Suisse AG is one of the world's leading financial services providers. As an integrated bank, Credit Suisse offers clients its combined expertise in the areas of private banking, investment banking and asset management. Credit Suisse operates in over 50 countries worldwide and employs approximately 47,600 people. Credit Suisse aims to be the employer of choice by attracting and retaining the best and most diverse talent. Our diversity strategy is based on the idea of “engaging difference”: leveraging the diverse perspectives of all of our employees to achieve our business goals. We’re building a talent-driven culture, where the best people—regardless of their race, gender, age, sexual orientation, gender identity or religion or nationality—are free to realize their full potential. The AWN is also a proud partner with a variety of external affiliates, including 100 Women in Hedge Funds, 85 Broads, Catalyst, the Financial Women's Association and The Women's Bond Club. In addition to the AWN, Credit Suisse offers benefit programs to help women balance their professional and personal lives. We provide a full complement of flexible work arrangements, adoption assistance and adoption leave, domestic partner benefits, and back-up child and eldercare. We also offer health, nutrition, and wellness programs, and nursing areas for working mothers. DaVita Inc. is a Fortune 200® company that provides a variety of health care services to patient populations throughout the United States and abroad. DaVita Kidney Care is a leading provider of kidney care in the United States, delivering dialysis services to patients with chronic kidney failure and end stage renal disease. As of December 31, 2017, DaVita Kidney Care operated or provided administrative services at 2,510 outpatient dialysis centers located in the United States serving approximately 198,000 patients. The company also operated 237 outpatient dialysis centers located in 11 countries outside the United States. DaVita Kidney Care supports numerous programs dedicated to creating positive, sustainable change in communities around the world. The company's leadership development initiatives and social responsibility efforts have been recognized by Fortune, Modern Healthcare, Newsweek and WorldBlu. Service Excellence: Serving others – our reason for existing. Accountability: We don't say, "It's not my fault," or "It's not my job." We take responsibility for meeting our commitments – our personal ones as well as those of the entire organization. We take ownership of the results. Fulfillment: We make a difference. We feel rewarded — personally and as a team – because what we do in our jobs is consistent with our goals and dreams. Fun: We enjoy what we do. We know healthcare is hard work; but even hard work can be fun. Since DaVita began in 1999, we have developed programs to enrich lives—and in creating programs for our patients and teammates, we realized that the goodwill they've generated has also spread to our families, into more than 2,000 local communities and around the world. Community Care—the annual report outlining the DaVita vision for social responsibility—defines our organization's "declaration of interdependence" and philosophy on the role corporations should play in America. DaVita is a community first, and a company second. We are a community that just happens to be organized in the form of a company. Deloitte provides industry-leading audit, consulting, tax, and advisory services to many of the world’s most admired brands, including 80% of the Fortune 500. Our people work across more than 20 industry sectors with one purpose: to deliver measurable, lasting results. Clients count on Deloitte to help them transform uncertainty into possibility and rapid change into lasting progress. Our people know how to anticipate, collaborate, and innovate, and create opportunity from even the unforeseen obstacle. It’s clear why our commitment to an inclusive culture has remained strong: Our people are our most valuable asset. Deloitte is an organization of firsts the first of the Big Four to elect a woman CEO, a minority CEO, a minority chairman, and a woman chairman. Our commitment and innovative thinking has landed the organization on a number of best-places-to-work lists including DiversityInc’s Top 50 Companies for Diversity, Working Mother’s 100 Best Companies and Best Companies for Working Mothers, the Human Rights Campaigns Best Places to Work for LGBT Equality, Civilian Jobs Most Valuable Employer for Military and the FORTUNE 100 Best Companies to Work For®. We inspired change at Deloitte as well as other organizations across the country. In fact, over 50% of the Fortune 100 companies have asked us to help them with their own inclusion efforts. As the workforce needs and expectations have evolved, so too has our approach and priorities. Globalization, technology, and evolving workforce priorities are redefining what we mean by an inclusive culture. Today, Inclusion at Deloitte focuses on authenticity, well-being, openness, and opportunities for all of our people. This broader definition of inclusion allows us to bring a wide range of thinking, perspectives, and experiences that build intellectual and creative advantage, even as needs and priorities evolve over time. Inclusion goes beyond traditional demographics and representation, it’s how we invite, encourage, and draw on the unique perspectives of our people. By exploring individual viewpoints with genuine interest and openness, we can better engage our people and match them to the most meaningful opportunities. This new way of thinking also shapes our approach to well-being. At Deloitte, we know well-being needs are likely different for everyone. We provide our people the support and flexibility to make daily choices that can enable them to be energized, confident, and aware. Through our comprehensive benefits, resources, and learning programs, we create opportunities for our people to personalize their experiences in the ways that matter most to them in body, mind, and purpose. More importantly, we are fostering a culture of well-being that respects how our people prioritize their personal and professional needs and responsibilities. While we’ve made great progress and have been recognized for our innovative approach to inclusion, we aren’t done yet! Just as we have always done, we continue to look for opportunities to lead the way and evolve our thinking. Deutsche Bank is Germany’s leading bank, with a strong position in Europe and a significant presence in the Americas and Asia Pacific. With operations in over 70 counties, we encourage our people to think for themselves and reward integrity. Whether your interests lie in investment banking, trading, technology, human resources, risk management or another business area, a career at Deutsche Bank gives you everything you need to succeed in an international environment. That includes structured, ongoing training to support your continuous development and the chance to learn from colleagues at all levels of the Bank. If you’re talented, collaborative and curious about building an exciting career in finance, you’re exactly the type of person who might succeed in our organization. At Deutsche Bank, our culture is friendly and supportive. When you join us, you’ll feel like a key part of a diverse, inclusive team where you can use your individuality and integrity to drive forward market-leading solutions. We’ve won awards for both our family-friendly policies and for improving gender diversity in executive ranks. By 2018, our aim is for women to occupy at least 25 percent of the senior management positions. This includes leadership development workshops for women across the U.S. and our Women on Wall Street (WOWS) network that sponsors over 20 events each year. We ensure women can make their mark on our business that never stands still. The Dow Chemical Company combines the power of science and technology to passionately innovate what is essential to human progress. The Company is driving innovations that extract value from material, polymer, chemical and biological science to help address many of the world's most challenging problems, such as the need for fresh food, safer and more sustainable transportation, clean water, energy efficiency, more durable infrastructure, and increasing agricultural productivity. The Dow Chemical Company's integrated, market-driven portfolio delivers a broad range of technology-based products and solutions to customers in 175 countries and in high-growth sectors such as packaging, infrastructure, transportation, consumer care, electronics and agriculture. In 2016, The Dow Chemical Company had annual sales of $48 billion and employed approximately 56,000 people worldwide. The Company's more than 7,000 product families are manufactured at 189 sites in 34 countries across the globe. The Company conducts its worldwide operations through global businesses, which are reported in five operating segments: Agricultural Sciences, Consumer Solutions, Infrastructure Solutions, Performance Materials & Chemicals and Performance Plastics. Our career opportunities span a diverse range of disciplines even outside of the Finance area. With a broad landscape of possibilities, you can explore multiple paths and carve out a unique and rewarding career at The Dow Chemical Company. Visit our Diversity & Inclusion website to learn more. Our seven employee networks are key partners in helping us connect and engage talent. With over 170 chapters worldwide, our Networks are just one way we are making inclusion a hallmark of The Dow Chemical Company. Several of the employee networks have formed partnerships with external organizations to drive progress and change, develop community programs and pursue other outreach opportunities. In addition to the employee networks, we also support informal employee groups, such as working parents, young professionals and biking clubs to promote camaraderie, teamwork and fun in the workplace. Our Women’s Innovation Network (WIN) supports the professional development of women around the world, offering mentoring and networking opportunities, and providing access to professional development tailored to the unique needs of women at critical career stages. “We intend to become a global pacesetter in our industry for bringing diverse perspectives to the table, and we need women to hold an important seat at that table, working to solve the issues affecting our world." References to "Dow" or the "Company" mean The Dow Chemical Company and its consolidated subsidiaries unless otherwise expressly noted. More information about The Dow Chemical Company can be found at dow.com. Lilly is a leading innovation-driven pharmaceutical corporation. We are developing a growing portfolio of best-in-class, first-in-class pharmaceutical products by applying the latest research from our own worldwide laboratories, by collaborating with eminent scientific organizations, by making use of the most advanced technological tools, and by providing exceptional service to our customers. Everything at Lilly begins with the unmet medical needs of people. We provide answers for these often complex, difficult problems in two ways: through the discovery and development of breakthrough medicines and through the health information we offer. We are working to make sure patients have access to the medicines they need. We help low-income and uninsured patients in the U.S. through our Lilly Cares™ program and voluntarily provide discounts on products for state-sponsored patient-assistance programs. At the same time, we are actively involved in lobbying and advocacy efforts to help expand access to medical care and medicines. As our company touches the lives of people worldwide, we recognize that we have a responsibility to be a good corporate citizen in the communities we affect and to help preserve the environment for the generations to come. The Women's Network is an organization that was founded in 1995 and is led by a committed group of volunteers dedicated to the career advancement needs of women at Lilly. The Women's Network strives to be a catalyst for creating an environment that leverages the talents and recognizes the potential of the entire workforce at Lilly. Through the vision, enthusiasm, and collective energy of our volunteers and actively participating employees, the Network provides a forum for (1) creating an awareness of the importance and value of women succeeding in the workforce, (2) discussion of issues and concerns that may impact the potential for success, and (3) developing constructive solutions for improving communication among our members and representatives of the Global Management Team. Evercore is a premier independent investment banking advisory firm with 1,400 employees and a global presence in the Americas, Europe and Asia. Evercore was ranked by Vault.com as #1 of the 50 Best Internships and #1 for Formal Training and Diversity with Regards to Women. Established in 1995, Evercore is a leading global independent investment banking advisory firm. Evercore advises a diverse set of investment banking clients on a wide range of transactions and issues and provides institutional investors with high quality equity research, sales and trading execution that is free of the conflicts created by proprietary activities. The firm also offers investment management services to high net worth and institutional investors. With 28 offices in North America, Europe, South America and Asia, Evercore has the scale and strength to serve clients globally through a focused and tailored approach designed to meet their unique needs. More information about Evercore can be found on the Company's website at www.evercore.com. We seek to differentiate ourselves through unstinting adherence to our core values. The firm's investment bankers provide objective counsel to senior executives and Boards of Directors on a range of complex business and financial issues, including M&A, takeover defense, shareholder value creation, corporate governance, and asset divestitures. The restructuring advisory team provides financial restructuring services, strategic advice and related investment banking services to companies in financial transition as well as to their interest holders. ExxonMobil, the largest publicly traded international oil and gas company, uses technology and innovation to help meet the world’s growing energy needs. ExxonMobil holds an industry-leading inventory of resources, is one of the largest refiners and marketers of petroleum products and its chemical company is one of the largest in the world. Global energy demand continues to grow and create exciting opportunities within ExxonMobil for scientists, engineers and business professionals to work together to address the world's toughest energy challenges. ExxonMobil has a long-term career approach focused on attracting the best and brightest from college campuses and developing their abilities through challenging assignments tailored to the individual's interests and development needs while meeting the needs of the business. In 2017, 41 percent of management and professional hires for ExxonMobil were women. Women hold senior management positions within corporate, operating, information technology and financial areas of the business. ExxonMobil fosters the advancement of women in the Corporation through thoughtful career development planning, mentoring, and professional networks. Globally, our Women's Economic Opportunity Initiative helps women in developing countries and emerging markets fulfill their economic potential and drive economic and social change in their communities. Since 2005, we have invested approximately $120 million in the program to provide tens of thousands of women in 90 countries with training, resources and support. Within the Corporation, ExxonMobil is committed to providing challenging and rewarding careers to men and women who have achieved excellence in their academic records, demonstrated superior leadership and analytical ability, and who are interested in shaping the future of energy through working with the oil and gas industry leader. Our commitment to advancing women throughout our ranks and into leadership positions has contributed to our reputation as one of FORTUNE magazine’s 100 Best Companies to Work For® in the US. In addition, we’ve been ranked in the top 10 on Working Mother magazine’s annual 100 Best Companies for Working Mothers list in the US, marking the 10th year in a row in the top 10 and our 19th appearance on the list. The number of women in top executive management positions has increased by more than 20% as a result of our focused efforts. In fact, 30 percent of the 753 people who made partner at EY firms around the world in 2015 were women. A strong “tone at the top” from senior leaders holds our executives accountable for the development and advancement of women. We have made a concerted effort to engage men in women’s advancement by opening up more dialogue between men and women on the local business unit level via Inclusiveness Steering Committees, encouraging candid discussions about critical issues and experiences, and establishing several mentoring and sponsorship initiatives, and networks. The Goldman Sachs Group is a bank holding company and a leading global investment banking, securities and investment management firm. Goldman Sachs provides a wide range of services worldwide to a substantial and diversified client base that includes corporations, financial institutions, governments and high net worth individuals. Founded in 1869, the firm is headquartered in New York and maintains offices in London, Frankfurt, Tokyo, Hong Kong and other major financial centers around the world. A problem isn't truly solved until it's solved for all. Googlers build products that help create opportunities for everyone, whether down the street or across the globe. Bring your insight, imagination, and a healthy disregard for the impossible. Bring everything that makes you unique. Together, we can build for everyone. Check out our career opportunities at google.com/careers. Greystar is a leading, fully integrated multifamily real estate company offering expertise in investment management, development, and property management of rental housing properties globally. Headquartered in Charleston, South Carolina, with offices throughout the United States, Europe, Latin America, and Asia-Pacific, Greystar is the largest operator of apartments in the United States, managing more than 437,000 conventional units and student beds in over 150 markets globally. Greystar also has a robust institutional investment management platform dedicated to managing capital on behalf of a global network of institutional investors, with more than $26 billion in gross assets under management, including $10.4 billion of developments underway. Greystar was founded by Bob Faith in 1993 with the intent to become a provider of world-class service in the rental housing real estate business. Guggenheim Partners is a global investment and advisory firm. Across our three primary businesses of investment management, investment banking, and insurance services, we have a track record of delivering results through innovative solutions. Our commitment is to advance the strategic interests of our clients and to deliver long-term results with excellence and integrity. Guggenheim Securities is the investment banking and capital markets business of Guggenheim Partners. Guggenheim Securities offers services that fall into four broad categories: Advisory, Financing, Sales and Trading, and Research. Guggenheim Securities is headquartered in New York, with additional offices in Chicago, Boston, Houston, Atlanta, Los Angeles, and San Francisco. Guggenheim Securities is a fast-growing platform with an entrepreneurial spirit and a commitment to hiring the best talent. Guggenheim Securities is looking for top performers who are willing to work hard in an environment where initiative, creativity, maturity and enthusiasm for learning are highly valued. A diverse and inclusive workforce is critical to innovative solutions for increasingly complex challenges. When multiple perspectives are valued and considered, the Firm is poised for greater creativity, enhanced business strategies, product and service development as well as greater employee engagement and collaboration. Hines is a privately owned, international real estate firm that has provided the highest level of quality, service and value to its clients and investors for nearly 60 years. With a presence in 201 cities around the globe and investor relationships with many of the world's largest financial institutions, Hines has the breadth of experience, the network of expertise and the financial strength to assume complex and challenging investment, development and management projects. Offices in 24 countries, with regional offices in Atlanta, Chicago, Houston (U.S. headquarters), London (European headquarters), New York and San Francisco, as well as 95 other U.S. cities. Portfolio of projects underway, completed, acquired and managed for third parties consists of more than 1,295 properties including skyscrapers, corporate headquarters, mixed-use centers, industrial parks, medical facilities, and master-planned resort and residential communities. Currently, Hines has $111 billion of assets under management, including $60 billion for which Hines provides fiduciary investment management services, and $51 billion for which Hines provides third-party property-level services. IBM is a globally integrated technology and consulting company headquartered in Armonk, New York. With operations in more than 170 countries, IBM attracts and retains some of the world's most talented people to help solve problems and provide an edge for businesses, governments and non-profits. Innovation is at the core of IBM's strategy. The company develops and sells software and systems hardware and a broad range of infrastructure, cloud and consulting services. In 1935, the founder of IBM, Thomas J. Watson Sr., launched a program to recruit collegeeducated women, and made what in those days was a startling statement: "Men and women will do the same kind of work for equal pay. They will have the same treatment, the same responsibilities and the same opportunity for advancement." And we've been building on creating a culture in which women feel welcomed and valued ever since. In 2012, IBM welcomed Virginia “Ginni” Rometty as its Chief Executive Officer, becoming IBM’s first female CEO. She has been named to Fortune Magazine's 50 Most Powerful Women in Business for seven consecutive years, ranking 7th in 2011. We believe our commitment and leadership are making a difference for women in business -- and not just in our own business. As a reflection of our efforts, we are proud of our continuing recognition as one of Working Mother magazine's Top Companies for Working Mothers and Best Companies for Women of Color, as well as one of the National Association of Female Executives Top Companies for Executive Women. Invesco Ltd. is a leading independent global investment management firm, dedicated to helping investors worldwide achieve their financial objectives. By delivering the combined power of our distinctive investment management capabilities, Invesco provides a wide range of investment strategies and vehicles to our clients around the world. We have a singular focus on asset management and our mission is to assist our clients in their financial objectives and get more out of life. Invesco has over $800 billion in assets under management and operatesin more than 25countries. The firm is publicly traded and is listed on the New York Stock Exchange under the symbol IVZ. At J.P. Morgan, our mission is simple: first-class business…in a first-class way. In everything we do, excellence and integrity are the guiding principles. Excellence means more than 160 years of experience and knowledge that comes from solving the complexities of significant wealth, day in and day out. We augment this knowledge with some of the boldest, most innovative thinking today. Integrity means keeping your interests front and center always and carrying out our work with utter discretion. In each key area of wealth management—investments, liquidity and credit management, and, along with your independent advisors, tax and estate planning—our extensive experience is exemplary. Equally important, we have the experience, the organizational structure and the commitment to knit these separate strands into a unified and comprehensive plan designed around your particular situation. We understand that our collective diversity is our strength and are committed to creating an inclusive organization where everyone can succeed based on merit. We hire and develop people with unique experiences and diverse backgrounds because we believe that is a fundamental part of strengthening our global business capabilities. We understand that different perspectives bring strength and creativity to our work and lead to the best solutions for our clients. J.P. Morgan offers internship opportunities and scholarships to students of diverse backgrounds and participates in a wide variety of career events to attract diverse candidates. KPMG is one of the world's leading professional services firms. Our global network of 200,000 professionals serves clients in 154 countries and territories, providing innovative business solutions and a broad range of services across advisory, audit, and tax to many of the world's largest and most prestigious organizations. At KPMG, our professionals collaborate with some of the most talented and innovative people in the profession, across all areas of our business and all organizational levels and functions, to bring our strategy to life every day. KPMG is widely recognized for being a great place to work and build a career and is consistently named one of the country's "100 Best Companies to Work For" by Fortune magazine. KPMG is also a leader in creating a work environment built on principles of inclusion and diversity. We've created many award-winning programs that enhance the professional development of our diverse employees and support their growth as future firm leaders. Fostering an inclusive environment that encourages them to contribute fully. Increasing their networking opportunities and connecting them with women in the marketplace. Facilitating sponsorship and mentoring relationships. Providing a forum where they can share experiences and support each other, both personally and professionally. KPMG's chairman and CEO is a woman. Women comprise 33% of the firm's board of directors. Currently 21% of our partners are women. Women continue to be promoted to key leadership positions within the firm, including the Vice Chair of Operations, National Managing Partner for Advisory, and Chief Diversity Officer. For FY17, more than 43% of promotions to and within management positions were women. Learn more about KPMG's women's initiatives here. Lazard, one of the world's preeminent financial advisory and asset management firms, operates from 43 cities across 27 countries in North America, Europe, Asia, Australia, Central and South America. With origins dating to 1848, the firm provides advice on mergers and acquisitions, strategic matters, restructuring and capital structure, capital raising and corporate finance, as well as asset management services, to corporations, partnerships, institutions, governments and individuals. As a global advisory firm, we compete on the strength of our ideas, not our balance sheet. Our entrepreneurial, non-hierarchical environment is such that individuality and original thinking are highly prized. Lazard is a place where the individual can make a difference. We are committed to fostering a progressive and inclusive work environment that includes mentoring and sponsorship opportunities, as well as a generous parental leave policy. The firm provides support for employee-led groups that serve as resources for women looking to grow professionally and personally through development programs, career advancement and volunteer opportunities. These groups, under the umbrella of The Lazard Women’s Leadership Network, also provide a forum for women to share professional experiences and best practices with both female and male colleagues across the organization. Liberty Mutual's purpose is to help people embrace today and confidently pursue tomorrow. Keeping this promise means we are there when our policyholders throughout the world need us most. In business since 1912, and headquartered in Boston, Mass., today we are a leading global insurer with operations in 30 countries and economies around the world. We are the third largest property and casualty insurer in the U.S. based on 2017 direct written premium data as reported by the National Association of Insurance Commissioners. We also rank 75th on the Fortune 100 list of largest corporations in the U.S. based on 2016 revenue. As of December 31, 2017, we had $39.4 billion in annual consolidated revenue. We employ more than 50,000 people in over 800 offices throughout the world. We offer a wide range of insurance products and services, including personal automobile, homeowners, commercial multi-peril, property, general liability, commercial automobile, surety, workers compensation, specialty lines, and reinsurance. At Liberty Mutual, diversity is about all of us. By recognizing, appreciating and applying the unique insights, perspectives and backgrounds each person at Liberty Mutual brings to the table, we cultivate an atmosphere of trust and respect, built to deliver more innovative products and services for our customers. Diversity & Inclusion is the way we do business and we will continue to invest in it to create a stronger global organization. Headquartered in Buffalo, NY, M&T Bank has over 16,000 employees in locations throughout DC, DE, MD, NJ, NY, PA, VA, and WV. M&T’s history reflects well-managed growth and a clean balance sheet that has positioned the Bank to stand out as a consistent leader amidst the current challenges facing the financial services industry. To learn more about M&T’s financial performance, commitment to its community, and culture, visit www.mtb.com/AboutUs. The Executive Associate (EA) leadership development program is designed to provide MBAs immediate impact, high visibility, and challenging opportunities. Within M&T’s culture, the EA track exemplifies the flexible career and leadership opportunities that are desired by MBAs. Originally founded in 1984, the EA program is M&T’s entry point for recent MBAs seeking leadership and management growth. EAs are given immediate responsibility and business ownership via projects and responsibilities within their functional areas. Additionally, new hires have access to the EA alumni network within the Bank, as well as numerous opportunities for direct interaction with senior management. Accordingly, EAs are expected to become the Bank’s future leaders in a variety of functional areas such as; finance, strategy, marketing, operations, technology and relationship management. Career switchers and those with a general management focus are encouraged to apply! To attract high-caliber female MBA students, M&T also organizes a Women MBA Career Trek to our Buffalo, NY headquarters so that students can learn more about commercial banking while also interviewing for our Executive Associate program. The Career Trek includes presentations from senior women leaders at the bank on their careers and the industry and Q&A and networking with current and former Executive Associates. 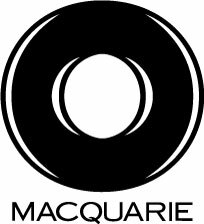 Macquarie Group is a global financial services provider with offices in 28 countries. We act on behalf of institutional, corporate and retail clients and counterparties around the world. Our expertise covers corporate finance and advisory, equities research and broking, asset management, foreign exchange, fixed income and commodities trading, lending and leasing, and private wealth management. Macquarie aims to deliver long-term profitability and shareholder returns, while managing risk and observing expected standards of corporate governance. Our leadership team has deep experience across the organization, while our Board comprises respected business leaders from diverse industry backgrounds. We encourage innovation and entrepreneurial spirit among our staff, while reinforcing that we are accountable for all our actions. Through this approach, we have built a uniquely diversified business. We have leading market positions in sectors including resources, agriculture and commodities, energy and infrastructure, with a particularly deep knowledge of Asia-Pacific financial markets. The diversity of our operations, combined with a strong capital position and robust risk management framework, has contributed to our 47-year record of unbroken profitability. Macquarie’s long standing management philosophy is to encourage innovation and to reward achievement within a framework of personal responsibility. This merit based culture is reflected in What We Stand For, where Macquarie sets out the three principles that define Macquarie’s approach, Opportunity, Accountability and Integrity. As a company which operates globally, the diversity of Macquarie's people is fundamental to its success. Macquarie's range of experiences, skills and views are key strengths and critical to the wide range of services the Group delivers across the globe as well as understanding the communities in which we operate. Macquarie understands the importance of diversity and inclusion our long history of success has come from being different. In every one of our offices across 28 countries around the world, you’ll find individuals from varied backgrounds with different ways of thinking, different skills and different experiences. At Macquarie we value the innovation and creativity that diversity of thought brings. At Macquarie, we harness the strength of our diversity through inclusion. Inclusion means creating a workplace environment where people feel they can be themselves, regardless of their gender, age, ethnicity or cultural affiliation, sexual orientation, beliefs or educational background. We are a global management consulting firm that serves a broad mix of private, public and social sector institutions. We help our clients make significant and lasting improvements to their performance and realize their most important goals. With nearly a century of experience, we've built a firm uniquely equipped to this task. With offices in over 120 cities, our firm is designed to operate as one—a single global partnership united by a strong set of values, including a deep commitment to diversity. McKinsey Women is our firm-wide network of female McKinsey consultants—a powerful resource providing formal and informal mentoring, learning and development, and opportunities to build relationships with peers and senior leaders. Each office fosters connections and delivers local programs to help women connect, learn, and grow. As a firm, we invest over $200 million annually in learning and training programs for our consultants, including courses based on McKinsey's Centered Leadership framework. There are also women-specific training programs that help maximize your strengths, develop close connections, and grow as a leader. At McKinsey, we celebrate the fact that our consultants have personal interests and obligations in addition to their professional ones, so we've been creating and encouraging flexible career paths for more than 25 years. Today, flexibility is part of our culture, whether someone wants to go part-time, is taking parental leave, or is simply managing day-to-day work and life. Our global team of flexibility counselors helps our people chart individual paths, including a “Ramp Off, Ramp On” program for women returning from maternity leave, our Take Time program that allows consultants to take extra time off between engagements, and options that include working part-time while still being on the path to partner. We believe firmly—and our widely—quoted Women Matter and Diversity Matters research supports—that generating significant impact for clients depends upon having diverse talent in our firm. We hope you will join us! Morgan Stanley is a worldwide leader in investment banking. We are one of the top firms in mergers & acquisitions (M&A), underwriting of equity transactions, corporate debt issuance, and high-yield debt financing. With professionals in 30 countries, we are consistently recognized for our performance in traditional and innovative financing techniques, helping clients around the world to make decisions about their business strategy and financial structure. With over 350 years of heritage and assets of US$2.7 trillion with more than 150,000 employees in 50 countries, MUFG is one of the largest comprehensive financial groups in the world with the presence in the Americas, EMEA and Asia. We offer stability in a changing market, providing various financial services to many of the world's prominent corporations, institutional and government clients, as well as regional and local middle-market companies and individuals. MUFG offers services including corporate banking, commercial banking, securities, credit cards, consumer finance, asset management, and leasing. We are the Top 5 bank in the world by total assets with one of the highest quality credit ratings. Combining our global network with over 2,300 offices, and financial strength with a dedication to becoming the world's most trusted financial group, we pride ourselves on exceeding client expectations and building long-term relationships. We support our clients and protect their interests with the highest levels of professionalism and expertise, while also serving society and fostering a sustainable vision for growth. Our banking business and securities operations in the Americas are headquartered in New York City. Our 10-week Corporate, Investment Banking and Global Markets summer internship program begins early June and is designed to provide rising seniors with hands-on experience and business exposure in the world of global finance. PIMCO is a global investment management firm with a singular focus on preserving and enhancing investors’ assets. For more than four decades, our mission has been grounded in a holistic investment process designed to apply rigorous top-down and bottom-up analysis of inputs to identify investment opportunities and risks. Since our founding in Newport Beach, California, in 1971, we have grown into a team of more than 2,300 dedicated professionals, with offices in 12 countries and trading operations in North America, Europe and Asia. We have an established reputation of innovation, and we continue to evolve as a provider of investment solutions across all asset classes. Our commitment to the Forté Foundation goes along with the continued effort to enhance and maintain a leadership role in the industry by engaging as wide a pool of talent as possible and integrating different perspectives for success in an increasingly complex global environment. For more information visit: www.pimco.com/careers or follow us @PIMCO. Prologis, Inc. is the global leader in logistics real estate with a focus on high-barrier, high-growth markets. We lease modern distribution facilities to a diverse base of approximately 5,200 customers across two major categories: business-to-business and retail/online fulfillment. In partnership with top manufacturing and distribution companies, we ensure timely delivery of the products that make modern life possible. Yet our success wouldn't be possible without our dynamic, motivated team members who embody Prologis' vision and passion for enduring excellence. We believe in helping people to discover and develop their full potential and are always looking for outstanding people who can help guide innovation and maintain our leadership position around the world. We take our vision of enduring excellence for the brand and superior returns for our shareholders seriously. Our corporate culture ensures that this occurs in an engaging and collaborative environment. Our core values are embodied in the acronym “IMPACT”: integrity, mentorship, passion, accountability, courage and teamwork. While our business strategies may change over time, we remain steadfast in our adherence to these values that guide our interactions with customers, investors and colleagues. We believe the values represented by IMPACT are what make us unique. We continually reaffirm our commitment to these values and ask our colleagues to do the same. The Breakthrough Network, introduced in 2014, is our global grassroots gender-diversity network. Championed by top management, Breakthrough works to support retention and remove barriers to advancement for women. The Breakthrough model focuses on leading, mentoring, networking and engaging in candid dialogue. As a global company, we seek people who are comfortable working on cross-functional and cross-cultural teams. Our 1,600 employees in 19 countries collaborate with customers to achieve operational efficiencies, reduce environmental impacts and improve the communities where we live and work. On any day, a colleague might interact with another colleague in Amsterdam, Mexico City, Shanghai, San Francisco or Denver, to name a few examples. Many of our colleagues say that each day at Prologis brings something different. Hey you: the bold, creative person looking for the challenge of a career. T-Mobile wants to meet you to consider join our Un-Carrier Revolution and learn how we’ve changed the industry for good. Ready to be an executive? Your time is now. Fearless leaders, change makers, idea people—these are the qualities we're looking for. If you have what it takes, come break the rules of wireless with us. We’re looking for leaders, with a passion for managing and developing others. We do right by our customers and employees. We embrace diversity and inclusion—not just because it's the right thing to do. Our diverse employees (and customers!) help us break down barriers and rewrite the rules. State Street is a global company with diverse people and experiences, and a network of over 36,000 employees spanning more than 100 markets and countless disciplines. From technology and product innovation to corporate responsibility and community development, we're making our mark on the financial services industry. We help our clients safeguard and steward the investments of millions of people – strengthening markets, building communities and creating opportunities for growth. For us, success comes in the impact our employees have – on our clients, our communities and each other. We're committed to providing an inclusive environment where all employees feel valued and supported. Are you ready to join us and make your mark? For more information, please visit statestreet.com/careers and follow us @StateStreet. At PNC, we have a great appreciation for the power of diversity and inclusion. In fact, diversity is one of the core values that have been developed by our employees. More than that, it's an integral part of our daily business practices and recruitment strategy. When people with different ideas, experiences and backgrounds work together to achieve common goals, it's inspiring and motivating. It's also what you’ll experience as a PNC employee. Learn more about our culture and our careers at www.pnc.jobs. Vanguard is one of the world's largest investment companies, offering a large selection of low-cost mutual funds, ETFs, advice, and related services. Individual and institutional investors, financial professionals, and plan sponsors can benefit from the expertise, stability, and reliable investment approach Vanguard offers. From our beginning in 1975, Vanguard set course as a very different kind of investment firm. Our purpose remains: "To take a stand for all investors, to treat them fairly, and to give them the best chance for investment success." Did you know the world's largest brick-and-mortar retailer is also one of the fastest growing and most dynamic e-commerce organizations? We're creating an experience that lets customers shop anytime, anywhere—delivering exactly what they want, when they want it. Every Day Low Price (EDLP) is the cornerstone of our strategy, and our price focus has never been stronger. We're uniting the best entrepreneurs, business minds, data scientists, merchants, and technologists to create seamless experiences for customers to shop anytime, anywhere—whether they're shopping online at Walmart.com, through one of our mobile apps, or shopping in a store. In 2016, Walmart acquired Jet.com and began expanding its portfolio of e-commerce sites. As part of the Jet acquisition, Hayneedle.com (home furnishings) also joined our family. In 2017, Walmart added Shoes.com (footwear), Moosejaw (outdoor apparel and gear) ModCloth (women's apparel) and Bonobos (men's apparel) to the portfolio. The result? An unparalleled selection of brands and categories, and a family of sites that provides a great end-to-end experience for customers. Our teams from Bentonville and San Bruno offices are coming to Forte to connect with the next generation of future female leaders. Learn more our culture and our story at https://corporate.walmart.com/our-story. Wells Fargo is driven by our values to achieve our vision, which is to satisfy all our customers’ financial needs, and help them succeed financially. We consider our people as our competitive advantage, and strive to attract, develop, retain and motivate the most talented people we can find. We are a nationwide, diversified financial services company with $1.7 trillion in assets. 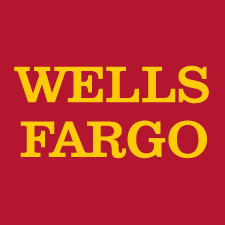 Founded in 1852, Wells Fargo provides banking, insurance, investments, mortgage, and consumer and commercial finance services through more than 8,700 locations, more than 12,500 ATMs, online (wellsfargo.com), and mobile devices. At the end of fourth quarter 2014, Wells Fargo ranked fourth in assets among U.S. banks and was the world’s most valuable bank by market capitalization. In 2014, Wells Fargo was named “Most Respected Bank” by Barron’s magazine, “Most Admired” among the world’s largest banks by Fortune magazine, and “Best U.S. Bank” by The Banker magazine. The Chronicle of Philanthropy ranked Wells Fargo’s corporate cash giving in the top two among all U.S. companies each of the past two years. We want to be an employer of choice, a company that really cares about people, where teamwork is valued and rewarded, where how the work gets done is just as important as getting the work done…We want every team member to be able to say, "I chose the right company. I’m valued. I’m rewarded. I’m recognized. We work hard, but we have fun, too. I can improve my professional skills here. I can reach my career goals. I enjoy my work." Whirlpool Corporation (NYSE: WHR) is the number one major appliance manufacturer in the world, with approximately $21 billion in annual sales, 93,000 employees and 70 manufacturing and technology research centers in 2016. The company markets Whirlpool, KitchenAid, Maytag, Consul, Brastemp, Amana, Bauknecht, Jenn-Air, Indesit and other major brand names in nearly every country throughout the world. Additional information about the company can be found at WhirlpoolCorp.com, or find us on Twitter at @WhirlpoolCorp. Our global headquarters are located in Saint Joseph and Benton Harbor, Michigan - a breathtaking vacation community on 40 miles of Lake Michigan beachfront, where swimming, sailing, kayaking, waterskiing, boating, and beach volleyball are abundant. The company is host to a variety of employee resource groups, including a Young Professionals Network a group of more than 700 local members who are active in corporate social responsibility commitments like Habitat for Humanity, Cook for the Cure, United Way, Boys and Girls Club, and other social activities. A quick 90-minute drive from Chicago, Southwest Michigan is also home to a new Jack Nicklaus signature golf course called Harbor Shores, 17 other public golf courses, nearly 20 wineries, two art districts, many seasonal festivals, outdoor concerts and events all year long. Join us in making the most of moments that matter. Forté partners with over 50 business schools to close the gender gap and provide fellowships.